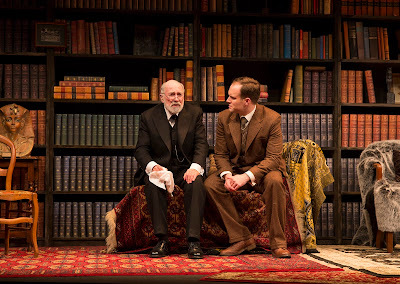 Strange Duck productions and Liberman Partnership present FREUD'S LAST SESSION by Mark St Germain at The Theatre Royal, King St, Sydney. 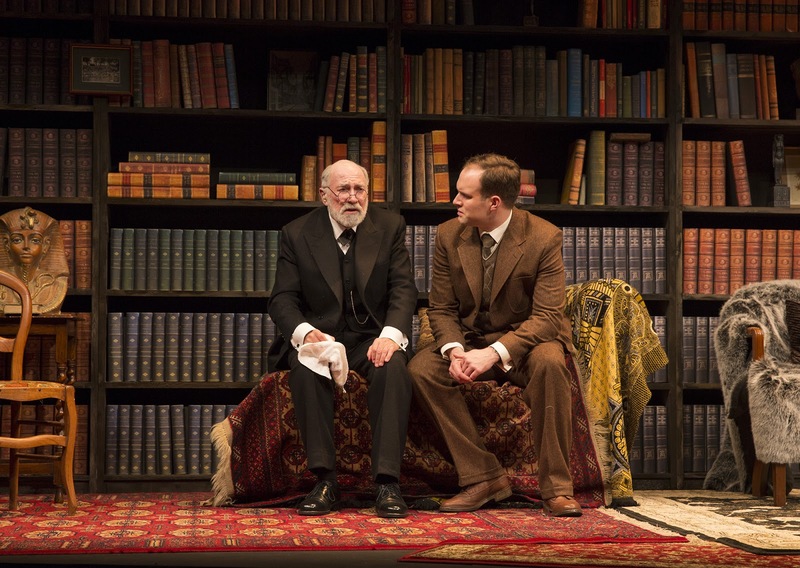 FREUD'S LAST SESSION is a long one act play for two characters, by Mark St Germain. Mr St Germain has developed a catalogue of plays creating historical fiction. This one concerns a fictional meeting between Sigmund Freud and C.S. Lewis in Freud's London study in 1939, on the evening that World War II was being declared. Mr St Germain took his inspiration from a book: "The Question of God" by Dr Armand M. Nicholi Jnr. 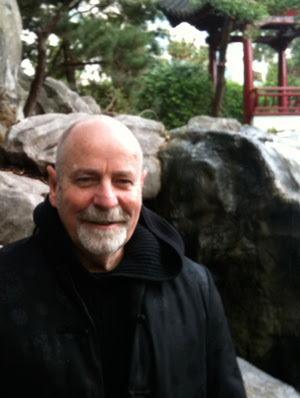 A confirmed atheist confronting an agonising death, from cancer, Freud (Henri Szeps), 83 years of age, meets C.S. Lewis (Douglas Hansell) 41 years of age, a young professor from Oxford, who had recently converted from atheism to theism (Mr Lewis' famous literary works, the Narnia chronicals, for instance, are yet to be written). What follows is a discussion explicating, and gently interrogating the opposing points of view. Atheism v's Theism. It is tantalising to imagine what might follow for us as an audience. What does follow, in this play, is a polite discussion, guarded with mutual respect, that, really, hardly sparks into any real drama. If one expects some fireworks around this great question, which in recent times had had volatile 'oxygen' and debate from outspoken advocates like Richard Dawkins, Christopher Hitchens on one side, and Tony Blair, Alister McGrath on the other then, disappointment, will be the result. In fact the Hitchens/Blair debate might have been more fun! In FREUD'S LAST SESSION, there is gentle comedy and some interesting conversational positions shown. There is, however, no drama, except for the disconcerting discomfort of the dying Freud with his facial cancer, and the consistent breaking-in of the outside news of the world's cataclysmic approach into a second world war, via a stage radio. Mr Szeps as the aged, irascible Freud gives a glimpse of a convincing characterisation that is undermined by his insecurity with his text and his ear-piece. Certainly, the writing favours the opportunities for dramatic impact from Freud, as the writing, for the C.S. Lewis character, is far blander in its conception. That Mr Hansell makes such a fine fist of it (despite the insecurity of his stage partner) making something more than just a sounding board for the more colourful and better known philosophical position and figure of Freud, in this play, suggests a thoroughly prepared actor of some accomplishment. Adam Cook, the Director, has surrounded himself with other artists that present a solid naturalistic space for the action to take place, and deftly keeps his actors moving about that large space to create the illusion of action. Interesting action. The Set and Costume Design is by Mark Thompson; the Lighting Design by Gavan Swift. The Theatre Royal seems to be an extraordinarily large space for such a 'small' work and the play does seem to labour under that strain. The off-Broadway space, the Marjorie Dean Theatre on 64th Street , Central Park West, that this work was seen in by the producer, Adam Liberman, and encouraged him to present this work in Sydney, seems to be a more modest one of 150 seats or so. In the program notes, Mr Liberman talks of the difficulty to find a suitable theatre - another symptom of the discreditable theatre space problem in this so-called major world-city, Sydney! - Premier O'Farrell: how are the discussions with Mr Packer going down at Bangaroo - our so-called for, wished for, Arts and Gambling Precinct? Remember, the Theatre Royal exists (just) because of a 'deal' with the developers in days of yore. How about it Mr O'Farrell and Mr Packer? Mr Liberman's excitement and ambition to present a play, even this play, should be lauded and I hope pays him some dividend - there are few enough men-of-passion about the theatre in this country as there is, and to have him discouraged on his first major venture, would be lamentable, indeed. So, thanks and congratulations. FREUD'S LAST SESSION is a minor work that could pass the time for some of us who enjoy intelligent conversation. Mr St Germain has a new work: SCOTT AND HEM IN THE GARDEN OF ALLAH , a play about F.Scott Fitzgerald and Ernest Hemmingway in discussion at the famous hotel, opening this month in Los Angeles.